The pictured adult female suspect in this video clip stole a wallet from the Victim’s purse while she was eating lunch at Panera Bread located at Clayton and S. Big Bend on 08/05/2018. If you can identify this individual, please contact the Richmond Heights Bureau of Criminal Investigations at 314-655-3610. The Richmond Heights Police Department responded to 60 traffic accidents in the month of July, 2015. 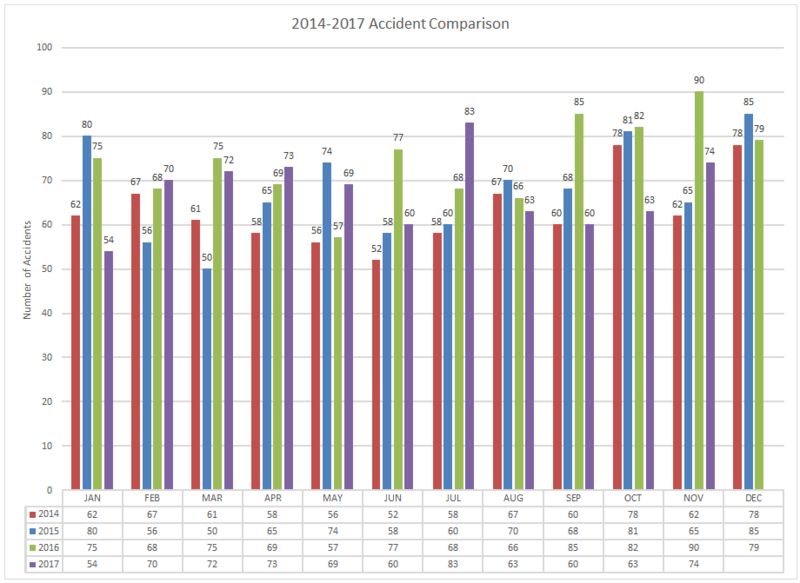 For the year, we have responded to 443 accidents. This is 26 more than the same time period in 2014. 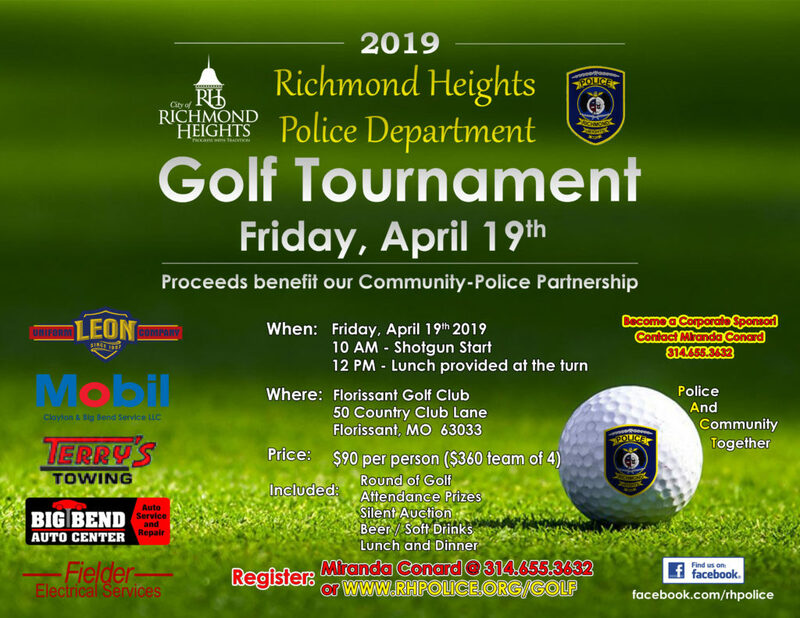 On March 4th, the Richmond Heights Police Department took a report from a resident in which someone posing as a tree trimmer occupied the resident while another person entered the victim’s house. The two suspects were described as being hispanic males. One was in his 40’s, the other in his late teens. Please remain vigilant and under no circumstances let a stranger inside your home. If you encounter a situation like this, please call 911 immediately. 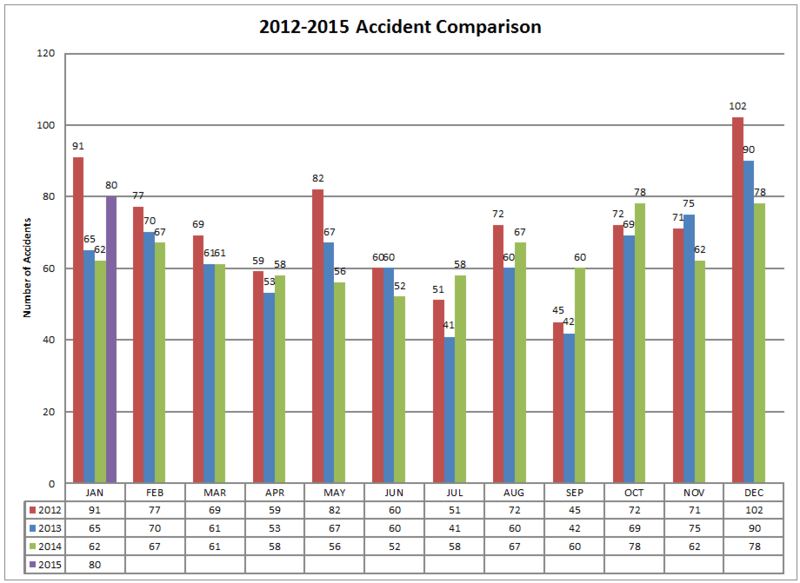 The Richmond Heights Police Department responded to 80 traffic accidents in the month of January, 2015. 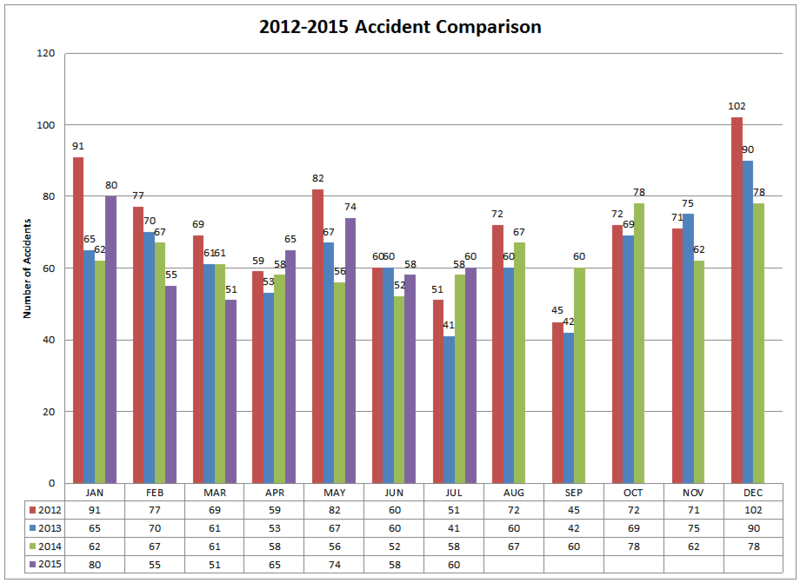 This is up from the 62 accidents that were handled in January, 2014.